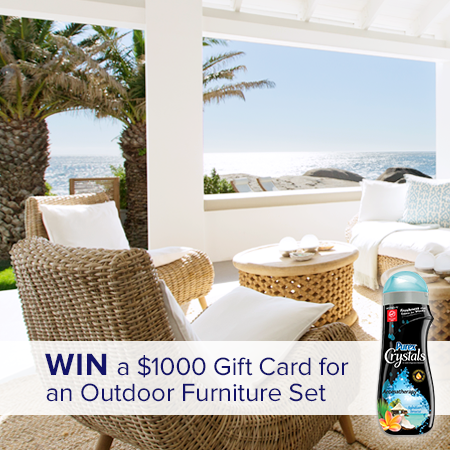 Purex wants you to feel like you're in Paradise, so they're giving you a chance to enter daily to win a years supply of their Purex Crystals along with a Gift Card worth $1000 to get new patio furniture! Runner up winners will get Purex Crystals for a year, too! Grand Prize (1): One grand prize winner will receive a $1000 Gift Card & a year’s supply of Purex Crystals. Approximate Retail Value $1,070. Five Second place winners will receive a year’s supply of Purex Crystals. Approximate Retail Value (ARV): $70.00.